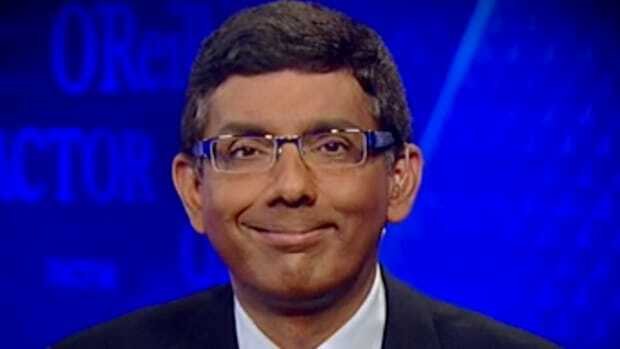 Dinesh D'Souza's D'ouchebaggery knows no bounds. 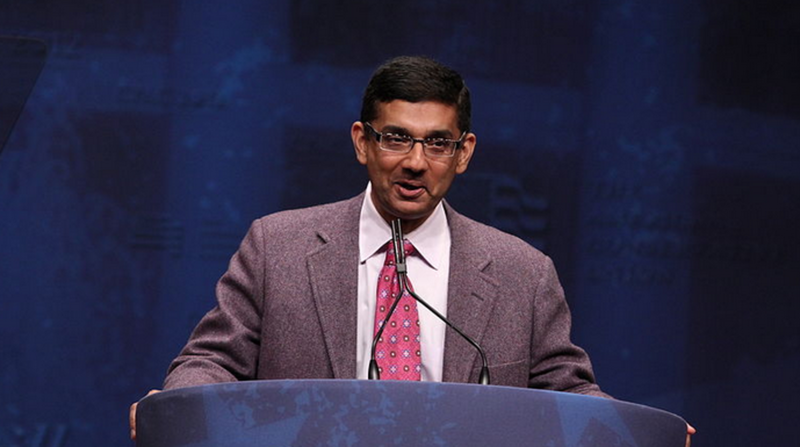 Among his many accomplishments after immigrating to the United States from India, Dinesh D&apos;Souza has very publicly outed several gay people who weren&apos;t prepared to be outed, impugned the patriotism of liberals including an American World War II hero, broke federal campaign finance law, allegedly kicked his (now ex-) wife in the head, railed against law-breaking immigrants, and racistly called the nation&apos;s first black president "boy." 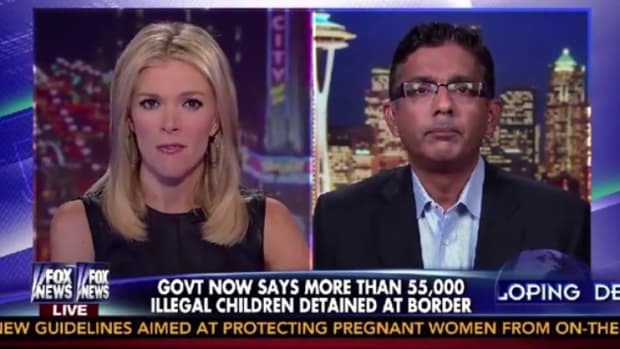 D&apos;Souza tweeted a clarification of sorts, which did clarify one thing: He&apos;s still racist. The entire sorry career of this nerdy-looking pencil-necked foreigner is one desperately outlandish attempt to prove to all the cool, patriotic kids that he&apos;s a cool, patriotic kid, too, while making some serious dough along the way. Hence the overcompensating for his status as a nonwhite immigrant in a conservative movement whose policies and rhetoric are friendly to neither nonwhites nor immigrants. It&apos;s therefore no surprise that those who undermine the U.S., according to the Christian D&apos;Souza, are almost never white male Christians. 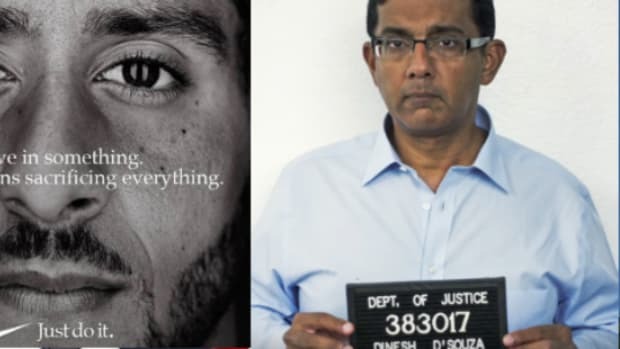 In D&apos;Souza&apos;s latest film, America, the four most prominent villains are Obama, Hillary Clinton, Saul Alinsky, and Howard Zinn -- a black man, a woman, and two dead Jews. 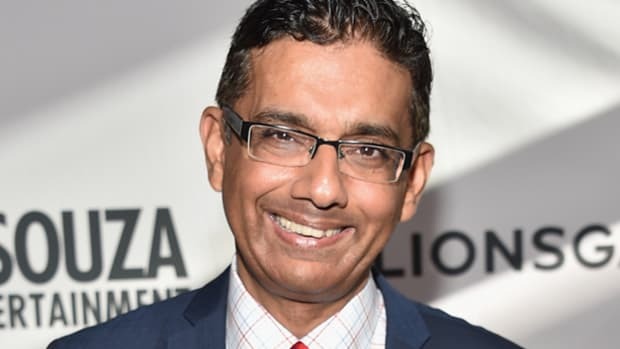 D&apos;Souza has specifically said that Hillary is not like Bill, a white male Christian, and the director of America claimed to The Daily Banter that Obama is actually more liberal than conservatives&apos; archvillain Franklin Roosevelt, a white male Christian. Furthermore, D&apos;Souza has even defendedcolonialism, including the colonization of his native India, saying it "had gotten a bad name," and declared, "Two cheers for colonialism!" He might as well have added, "And the white man&apos;s burden." 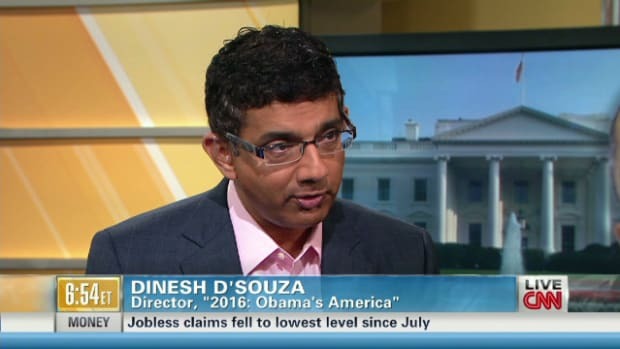 To put D&apos;Souza&apos;s shtick into perspective, it&apos;d be like me moving to India, throwing my lot in with the Hindu nationalists, breaking Indian campaign finance laws, possibly kicking my wife in the head, blasting a prominent Indian politician by using racist language -- and all while denouncing Indian liberals for being insufficiently pro-Indian and possibly hating India. So when, as we learned this week, a guy like Rudy Giuliani says that Obama doesn&apos;t love America, he was taking a page right out of D&apos;Souza&apos;s rhetorical playbook. As a Democrat and the nation&apos;s first black president, Republicans are constantly trying to depict Obama as an exotic, possibly Kenyan-born, possibly Muslim, unknown quantity. While the level of this "Other-ization" has often reached abhorrent heights, D&apos;Souza has taken it to new and absurd ones, now complete with overt racism in a pathetic effort to fit in among his lily-white conservative pals. Either that, or he&apos;s just a douchebag.